If you have any information on Eve Rust, the XM or any other memory crime please contact us. Your call will be treated in the strictest confidence. If you are you going to be near the memory dealers soon then call us and receive immunity from prosecution. Patty’s career began with Notts Constabulary in 1992 when, after her initial training, she was posted to Mansfield. Having completed her probationary period she joined the CID as a detective constable, before being promoted to the rank of sergeant in 1996. Patty adopted a number of uniform and detective roles as a sergeant, serving at Mansfield, Beeston and Headquarters in Nottingham. After promotion to detective inspector in 2006, Patty undertook responsibility for the Radford and Hyson Green intelligence and proactive functions, as well as being one of two divisional senior investigating officers (SIOs). In early 2007, Patty was seconded to Somerset and Avon Police to undertake a review into serious and organised crime. The review laid the foundation for much of the ongoing collaboration work with other forces nationally. 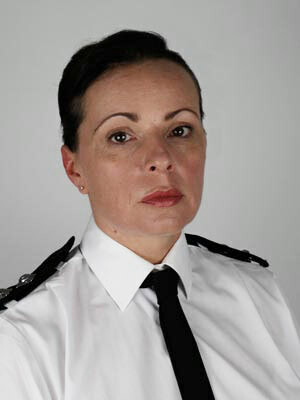 In September 2010, Patty was delighted to accept her current posting as Detective Inspector at the DIC.